If there has been any concern about the environment in our part of the world, it is in official circles not among the individuals who make up the country Ghana and generate the tons of plastic waste. The European Union and indeed other organised groupings in the other hemisphere have showed sufficient worry about the rate of production and use of non-biodegradable materials such as polythene bags and straws not forgetting, lately, plastic cutleries. The foregone are massively produced yet the products are disposed of immediately after their use as receptacles for food and varied items. What makes it scary is the fact that, according to scientific analysis, such stuffs take hundreds of years to biodegrade. A scientist speaking on BBC recently quipped that we are on the verge of having more such materials in the sea than fish. His position stems from the fact that marine life such as fish are being destroyed through our activities of producing these materials in their millions and not considering the effect of the enterprise. 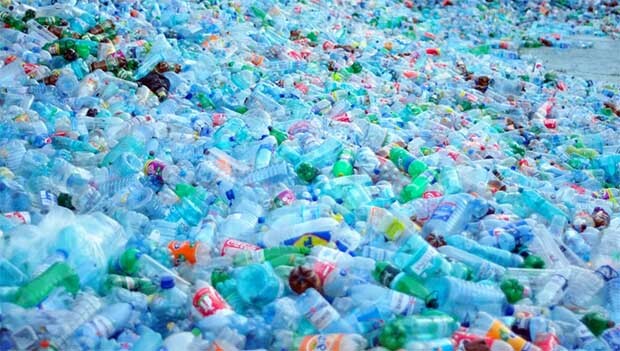 The refusal of China, the major importer of such wastes from outside their borders, not to import them any longer has presented the originating countries of spent plastic materials with a major problem. They no longer have a destination for the excessive volumes of plastic products they generate daily. For most of us, such discourses are the reserves of academics not for us outside academia and in the third world. This is a flawed assertion because were we to consider the negative impact of the rate at which we generate plastic garbage, we would have been startled beyond words. Recently a chief in Dagbon complained about the rate at which livestock are dying through the ingestion of plastic products. When animals are slaughtered, he added, many of them are found to have plastic products in their entrails some of them dying through these. He therefore called for a governmental intervention to reverse the situation. It is an expensive venture which demands a legislation of a sort to address. Some countries have already gone on a path of addressing the challenge; a case in point being Kenya. Companies which produce such products a few years ago, were told to consider a certain chemical additive to make them biodegradable. It appears the suggestion, like others spoken about in conference rooms, evaporated into thin air at the end of the session. A UN involvement in the matter is very much needed because our environment is in danger. Nature not being a respecter of borders, plastic materials could drift from one part of the world to another, since after all, they do not need entry permits to do so. Marine life, a major source of food and employment has never been so threatened as in recent times. We are being bombarded by plastic products. One shopper can take away between four and eight plastics from a shop, containers which would soon be discarded upon reaching home. These would end up in the sea and kill uncountable number of marine life. The time to act is now.